It's about the role of artwork in culture with preexisting stereotypes from which we hardly dissociate. The original idea - a starting point from which develops the world of ideas, creating a global view, continuity. An image is composed of pixels forming a coherent whole for us to understand. Such artists as Idris Khan, Sherrie Levine, John Baldessari, Tom Hunter in some of their works compress a repeating timeline into indivisible moments. 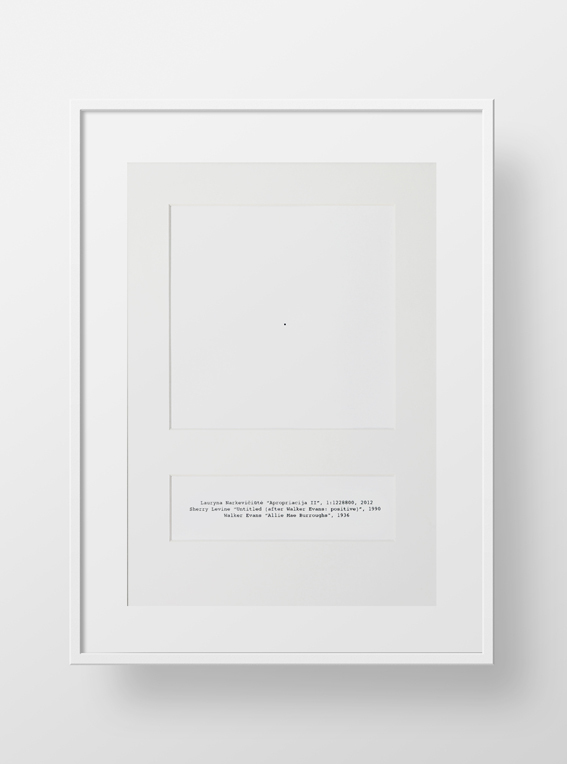 I reproduce each of their reproductions again and compress them into a single pixel, a single point, which is like a closed curve symbolising an infinity. Each pixel - a separate reference to history of art, completing it all, but also eliminating the boundaries of authenticity.